When transporting a large number of passengers, you need to take all precautions necessary to make sure that you have all materials needed in case of a road accident. 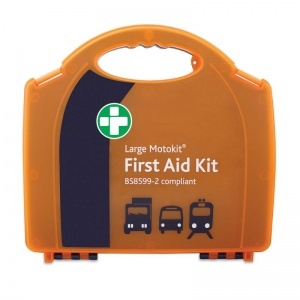 The Motokit Large Vehicle First Aid Kit gives you that peace of mind that everyone will be taken care of. 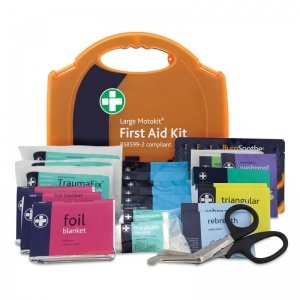 Using the latest data from accident and research statistics, industry professionals have produced a new kit to meet the medical needs of road traffic victims during the crucial period before the arrival of emergency services. 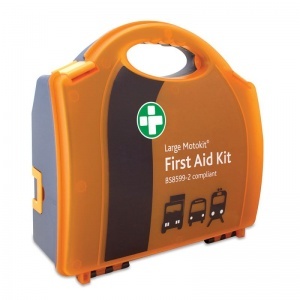 What Can You Expect to Find in the Large Vehicle Kit? The new British Standard of Motokits represent a major step forward towards road safety. 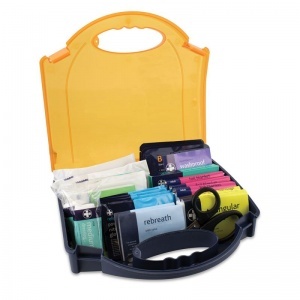 Neatly stored away in an airtight Aura box, the materials of this kit are BS 8599-2 compliant, and easy to use for even those who aren't trained in first aid. The Motokit Large Vehicle First Aid Kit is usually dispatched via First Class Royal Mail and delivery should be within 1 to 3 working days.